One of the best-loved translations of the Bible into German, the Schlachter Bibel of 1951 is based on the original Greek and Hebrew texts. 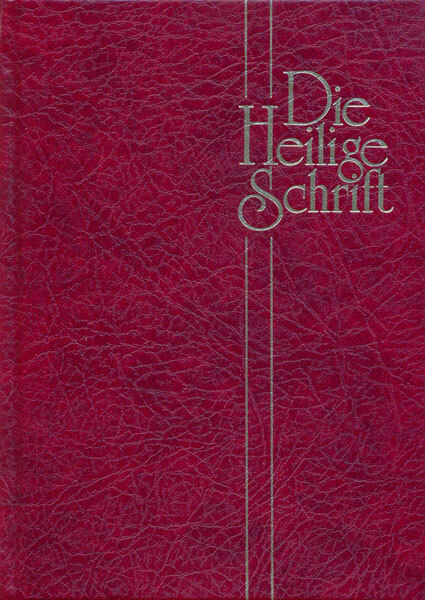 It is a light revision of the 1918 revision of the Schlachter Bible. This translation is known for balancing literal adherence to the original languages, while still remaining easy to read in German. This electronic edition of the Schlachter Bibel includes over 9,000 cross-references in the chapter and section headings, and over 1,000 notes on the text of the Old Testament, with several hundred additional cross-references in the notes. Please note: Symbian devices do not support publisher notes at this time.